Visit the glamorous City of Dubai with our amazing 6 Days over-the-top Package. Don't miss the opportunity of experiencing the Middle East culture first hand! 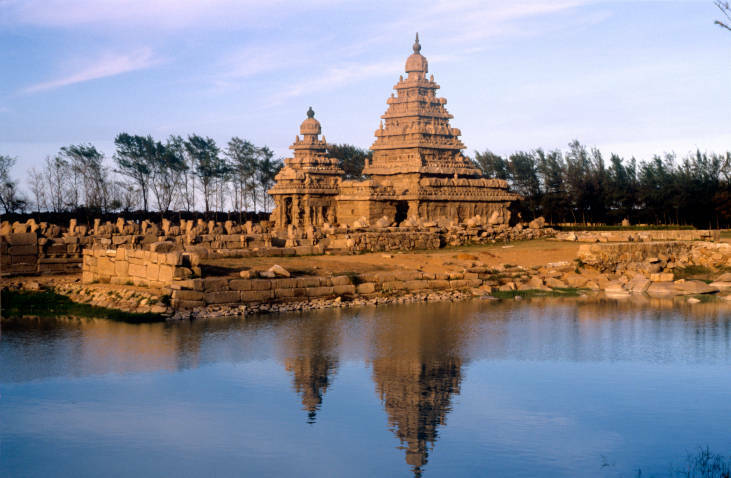 Places covered: Mahabalipuram – Pondicherry – Rameswaram – Kanyakumari – Kodaikannal – Madurai. lunch proceed to Rameswaram (400Kms 8Hrs) check in over night stay at Rameswaram. Check out from Rameswaram proceed to Kanyakumari over night stay at Kanyakumari. Over night stay at Kodaikannal. Check out from kodaikannal shopping boating Enroute visit, Madurai Meenakshi Sundareswarar Temple, Azhagar Kovil, Mariamman Tank, proceed to Chennai reaching by 10:00pm. Mamallapuram dates back to the Tamil Pallava dynasty in the 7th-9th century. The structures here, mostly carved straight out of granite, are among the oldest existing examples of Dravidian (South Indian) architecture.Today's Mamallapuram is purely a tourist town and one of the major attractions around Chennai. The East Coast Road has made it easily accessible - just about an hour from the city. Unfortunately, the entire strip is now a mess of restaurants, resorts, amusement parks, people, discarded plastic and chaotic traffic. At one time you could see the Bay of Bengal almost all the way to M'puram, but, there is so much development that the ocean is glimpsed only as you get close to M'puram. Shore Temple. The oldest structure in the area, build c. 700 AD, this temple has been here for more than 1400 years. However, unlike Mamallapuram's other monuments, the Shore Temple is a building (not carved from rock) and the bulk of the current structure is a reconstruction after it was struck by a cyclone. It's not particularly large, and the carvings have been badly eroded by the wind and the sea, but this adds to the sense of antiquity. The area around the temple is now a landscaped park, with guards keeping the hordes of souvenir hawkers at bay. A Shiva lingam is enshrined in the central building and the site can get very crowded on weekends. Three of the Five Rathas, with an elephant standing guard Five Rathas (Pancha Pandava Rathas). This site contains five rathas, literally chariots, dating from the 7th century. The sculptures are complemented by some enormous stone animals, including a large elephant.Thirukadalmallai, the temple dedicated to Lord Vishnu. It was also built by Pallava King in order to safeguard the sculptures from the ocean. It is told that after building this temple, the remaining architecture was preserved and was not corroded by sea.Sculpture Museum, East Raja Street has hundreds of sculptures in stone, wood etc.It is well worth a visit. Rs. 2 entrance fee.The following structures are all carved straight out of rock in the central hillside area, so you can travel between them on foot. The scenery within the hills is also quite unusual, with smooth rock rising out of the forest and carved stairways leading between the mandapas (pavilions), caves and carvings. Pondy is a one day affair unless you fall in love with the promenade or Auroville. Most places, except Auroville, can be reached by walk. People are most helpful with directions. Auto charges are steep (up to Rs 20 a km), but that's the case with all tour I made a day trip to Puducherry (aka Pondicherry) from Bangalore on Saturday. I decided on the spur of the moment and, hence, travel tickets were not easy to procure. All buses were packed and there are limited trains to the coastal state on the east. I even considered starting early on Saturday morning, but was daunted by an eight-hour day journey. Though Puducherry is just about 350 km away, a bus takes up to 8 hours to cover the distance. It's around 5 hours by car. For those who are interested, a KSRTC Volvo departs Bangalore at 8.30 am (cross-check timings). Then, someone suggested the once-a-week Garib Rath Express (Fri-Bangalore, Sat-Puducherry). Why we have a Garib Rath from Bangalore to Puducherry only Laluji and Mamatadi can explain. I easily got a berth as over 900 berths in the 18-coach 3-tier AC train went abegging.The train was to depart at 2315 IST, but eventually left at midnight, with great reluctance I might add. It halts in Banaswadi, Hosur, Salem, Vridhachalam and Villupuram. The interesting bit is the number of times the engine changes sides. Once at Vridhachalam and again in Villupuram. Vridhachalam is one of those beautiful stations that is in harmony with its surroundings. You can see trees, greenery and monkeys on the platform that is clean. As long as the monkeys don't take a liking to you or your belongings, it's a place you could spend the day just watching trains pass by or taking a nap under one of the trees. Our train reached Puducherry just after 9.40 am. In the station, I booked the return ticket and checked out the retiring rooms. There is a dormitory and two AC rooms with twin beds. Neat and clean. Didn't appear like they had seen many guests.The two main attractions of Pondy are the promenade and Auroville ashram. The first is 10 minutes walk from the station and the second is about 15 km away.The station ends at the southern tip of the French Quarter. So, if you choose to walk around, like I did, you start off with the beautiful parts. You come across many hotels with a few facing the sea. The rest are in the lanes behind the promenade. The island contains a temple that is one of the most venerated of all Hindu shrines. The great temple of Rameswaram was built in the 17th century on the traditional site said to be sanctified by the god Rama’s footprints when he crossed the island on his journey to rescue his wife, Sita, from the demon Ravana. The temple is built on rising ground above a small lake. Quadrangular in shape, it is about 1,000 feet (305 metres) long and 650 feet (198 metres) wide. It has a 100-foot- (30-metre-) high gopura, or tower gateway, but the temple’s outstanding features are its 700-foot- (213-metre-) long pillared halls, which open into richly decorated transverse galleries. 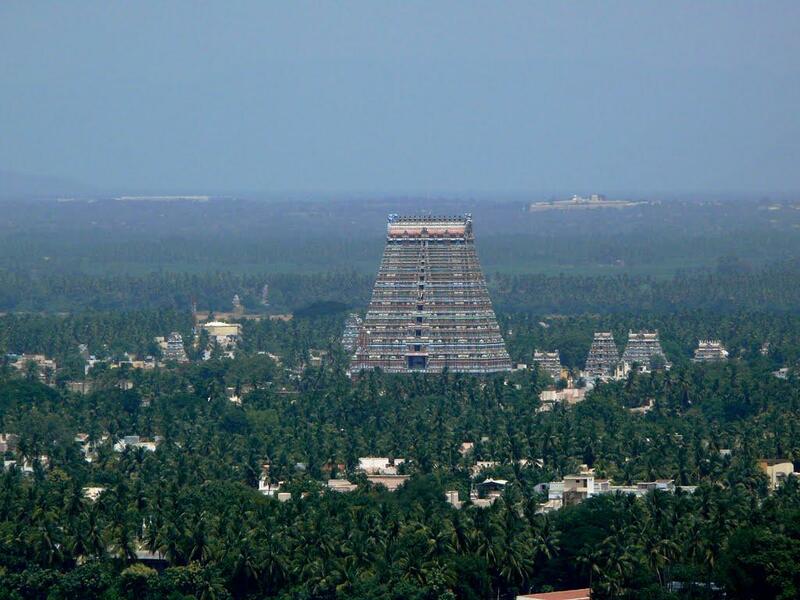 The temple is perhaps the finest example of Dravidian architecture. Sacred to both Vaishnavas and Shaivas, it is the most holy place for Hindus in India after the city of Varanasi. Kanyakumari About this sound pronunciation (help·info), formerly known as Cape Comorin, is a town in Kanyakumari District in the state of Tamil Nadu in India. Kanyakumari lies at the southernmost tip of mainland India (the southernmost tip of India as a whole being Indira Gandhi Point in Andaman and Nicobar Islands). The closest major cities are Nagercoil, the administrative headquarters of Kanyakumari District, (22 km (14 mi)). The town is a popular tourist destination. Cape Kanya Kumari was one of the important towns of the ancient Tamilakam.Kanya Kumari is mainly famous for pilgrimage and tourism. The place is a unique geographical location in India as it is the tip of the peninsula. It is the point of convergence of three seas, The Lakshadweep Sea, Bay of Bengal and The Indian Ocean. It is a holy place for Hindus' as there is the presence of two Shakti Peethas (The holiest shrine of Mother goddess) here, Bhagavathy temple and Shuchindram out of the 51 Shakti Peethas all over South Asia.